India and Indian civilization have played a major part in human development, world history and international relations. 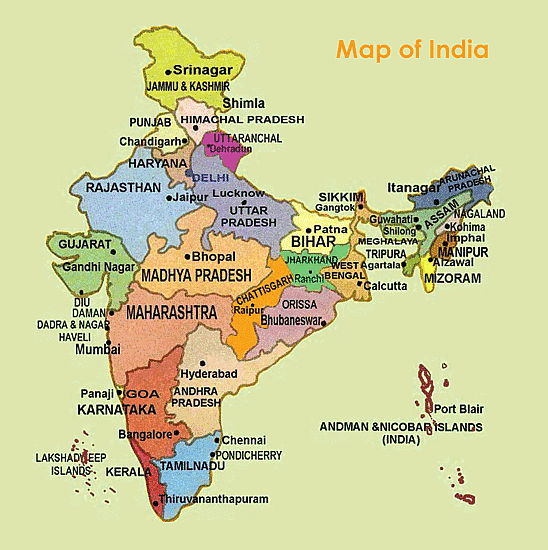 With roughly 1.2 billion people, India is the world’s largest democracy and second largest country by population. In recent decades, rapid economic growth and globalization have led to higher living standards and greater integration with the world economy. From 1980 to 2010, India’s Human Development Index (HDI) rose by 62 percent, and life expectancy at birth in India increased from 42.4 to 63.7 years from 1960 to 2008. India’s rapid economic growth and development is accompanied by the dramatic rise and growth of so-called mega-cities. People across India and other developing countries flock to cities and urban areas in search of greater opportunity and higher living standards. The fruits of their labors and the economic advantages of cities’ financial, human and social capital help fuel India’s development and urbanization. India will have more than 68 cities with populations of more than one million people by 2030, and more than 40 percent of Indians will live in cities of greater than one million people by 2025 according to the McKinsey Global Institute. Mahatma Mohandas Gandhi was a leading champion of the poor and untouchables, whom he renamed harijan (“children of god”) and also go by the term dalits (“the oppressed”). While economic development has gradually chipped away at the rigidity of India’s class structure, the class system still plays an important role in many areas of civil society and daily life in India from politics to marriage. 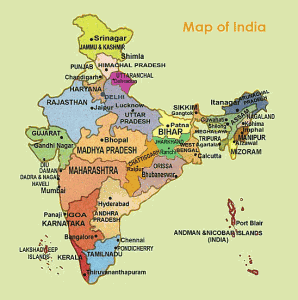 India is a highly ethnically and linguistically diverse country. As of 2001, 29 languages were spoken by more than one million people in India, and more than 122 languages were spoken by at least 10,000 people. India’s primary and secondary official languages are Hindi and English, respectively. Click on the image below to see a full-size version of a map of the usage of India’s major languages. India’s lucrative foreign trade opportunities attracted companies from Portugal, the Netherlands, England, France and Denmark. The most famous of these commercial interests, the British East India Company, was chartered by Queen Elizabeth on December 31, 1600. By 1665, the enclave of Bombay became property of the crown and was leased to the British East India Company by 1668. The East India Company’s settlement at Fort William in eastern India near the current national border with Bangladesh eventually became Calcutta (present-day Kolkata). By the time Britain consolidated control over India around 1852, the new British dominion was already in a state of economic and social collapse due to a hundred years of nearly continuous disputes and conflict. British forces succeeded in putting down the so-called Indian Mutiny or First War of Independence, which began with their own Indian soldiers revolting against the cow and pig grease used on new rifle cartridges. India officially became a British colony in 1858 when the British army put down the rebellion, and the British crown assumed administration of India through an appointed Viceroy. The civil disobedience of Mahatma Mohandas Gandhi and the opposition of Jawaharlal Nehru of the Indian National Congress eventually led to the Government of India Act of 1935, which moved toward but fell short of full independence. India finally achieved its independence when the Indian subcontinent was officially partitioned into the separate nation states of India and Pakistan on August 15, 1947. India became the world’s largest democracy when it adopted universal suffrage (right to vote) for all adults in 1951 following the enactment of the Constitution for India’s “Sovereign Democratic Republic and Union of States” on January 26, 1950. India’s relationship with neighboring Pakistan has a defining influence on India’s role in international politics and security. India’s and Pakistan’s often uneasy relationship with one another stems from the post-WWII partitioning of the India subcontinent, ongoing territorial disputes, particularly over Kashmir, and divided cultural allegiances between Hinduism and Islam. The goals of maintaining peace and stability and preventing any escalation of nuclear armaments guide many countries’ foreign policies in the region, particularly those of the U.S. and other highly developed, western nations.